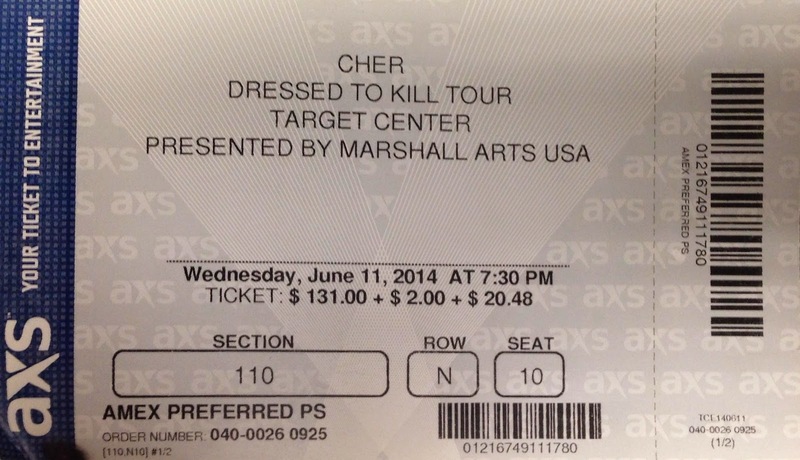 It'd be difficult to write about Cher's performance at the Target Center without mentioning her age. So let's just get it out of the way. At 68, she looks and sounds great, and I hope when I'm that age I'm in that good of shape. Obviously she's letting the dancers do all the heavy lifting, but that doesn't mean she's just sitting there doing nothing. She did have at least 11 costume changes in 90 minutes, after all.